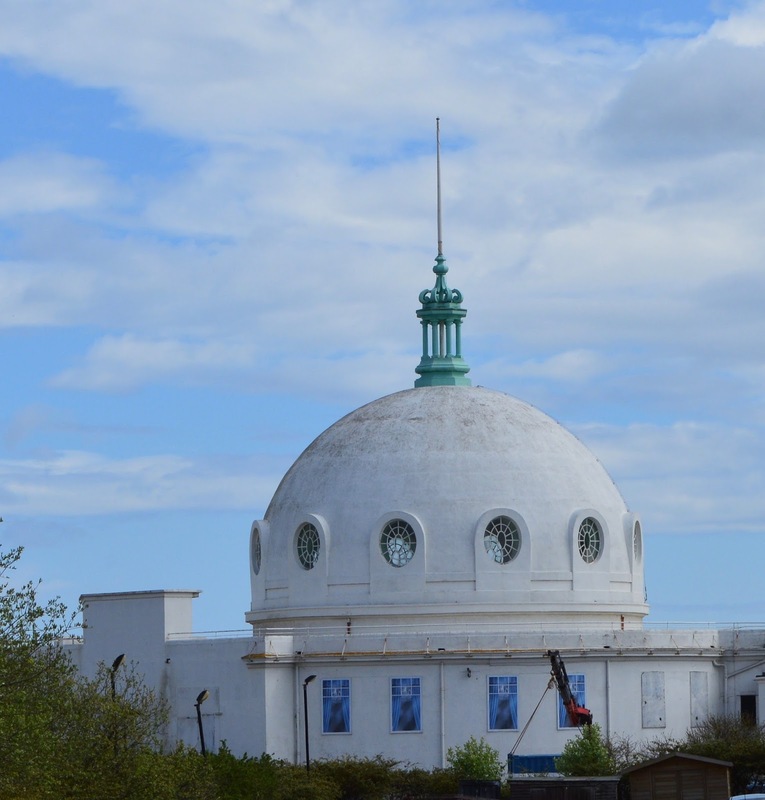 We parked behind Whitley Bay Playhouse. We always try and park here if we can as it's central and free! 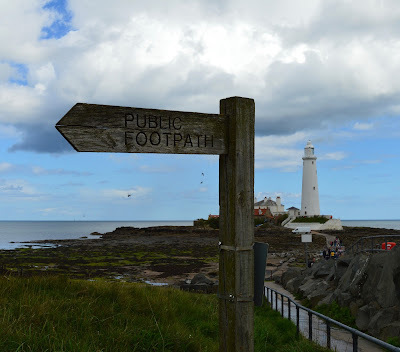 There are good paths on several levels right along the coast from Whitley Bay to the lighthouse. We opted to walk high up by the grass on the way there and decided to stick to the beach promenade on the way back. There are a few spots to stop for coffee or an ice cream en-route. 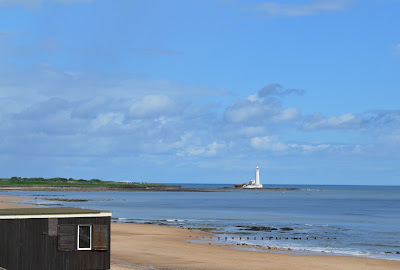 There is the Renzez-vous cafe on the sea front which serves delicious Knickerbocker glories or there are a few catering vans in the lighthouse car park. There are also free public loo's in the Lighthouse car park. Look at the glorious blue sky! You wouldn't believe we were hit by a hail storm around 40 minutes after this photograph was taken and were absolutely drenched! 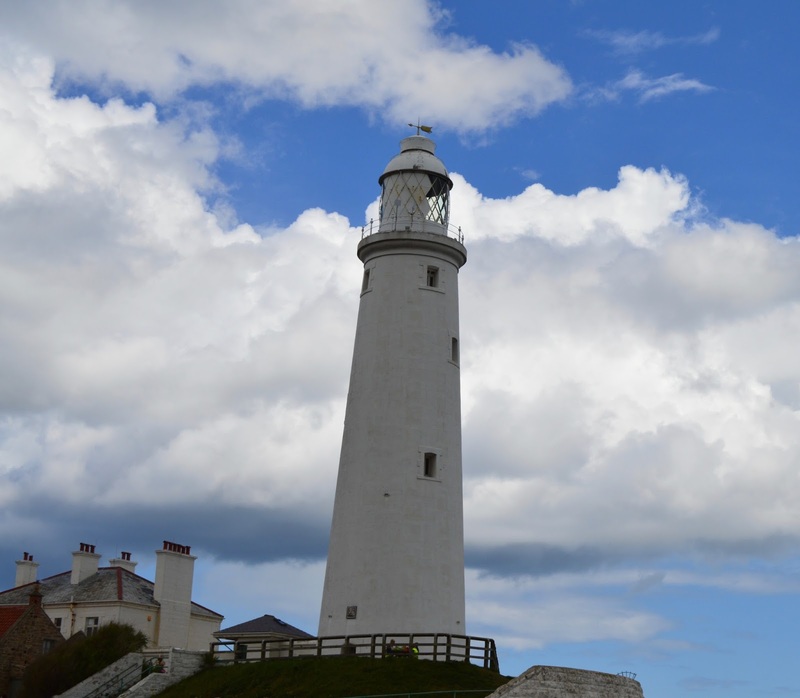 Just before you get to the lighthouse there are a number of routes you can take. 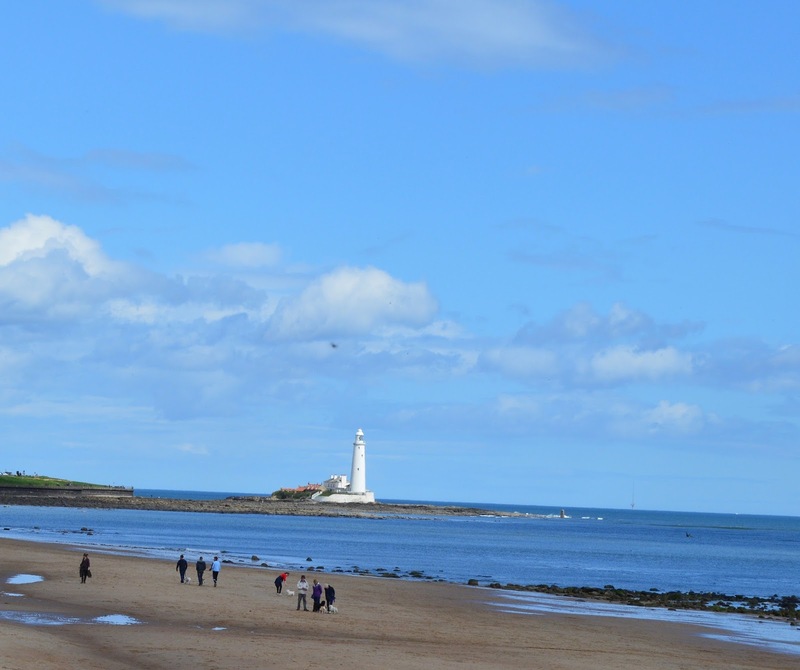 Cullercoats is 3 miles, Tynemouth 4.5 miles, South Beach Blyth 3.25 miles and Seaton Sluice 1.25 miles. I think next time we are going to try Whitley Bay to Tynemouth and back. New Girl In Toon recently walked from Whitley Bay Metro to Seaton Delaval (read about it here) - maybe that's one for us to try in the future too. We were in luck and the crossing to St Mary's Island was clear (we didn't think to check the times beforehand). We headed over to the island and bumped into another couple who informed us that there were lots of seals just around the corner on the rocks. Yeah! 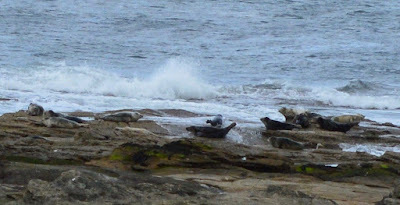 I've spotted seals in the wild before off the coast of Bamburgh and around the Farnes but never have I seen them so close to home. We were very excited!! There is a bird hide on the island and you'll find some pretty strong binoculars. 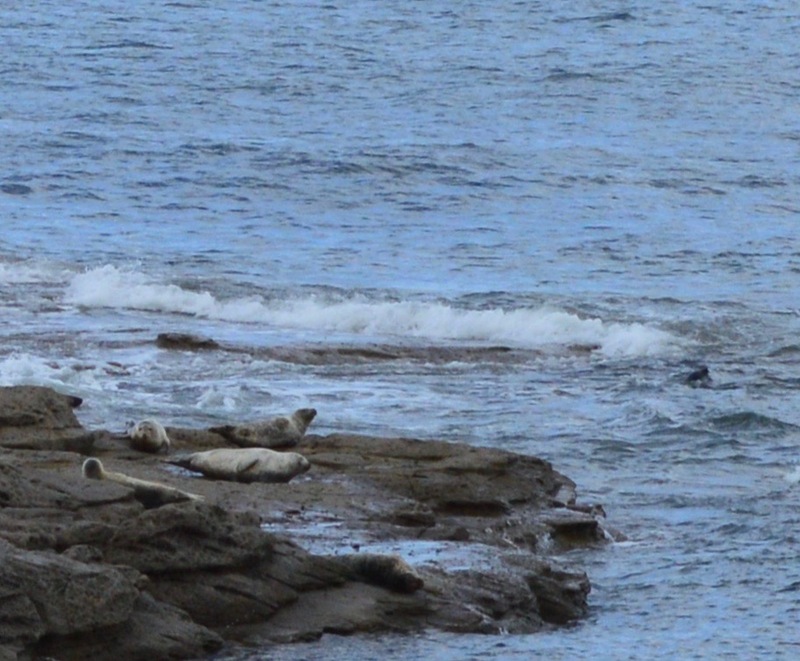 They were pointed right at the seals and I swear they looked like they were right in front of my eyes! Amazing! I think Seals are quite common around the island and I picked up a Voluntary Code of Conduct from St Mary's Seal Watch with some tips of how to behave around Seals. 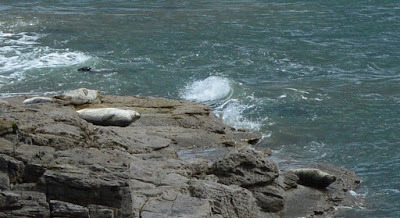 Most of the Seals found around the island are juvenile Grey Seals. Their numbers are at their highest in spring and early summer. If a Seal follows you along the coastline it sees you as a predator and wants to keep you in it's sight. Move back and allow the Seal to have the space it needs. The Seal is NOT being friendly. I thoroughly enjoyed our walk from Whitley Bay Town Centre to St Mary's and back. I burned around 800 calories and walked around 10,000 steps. 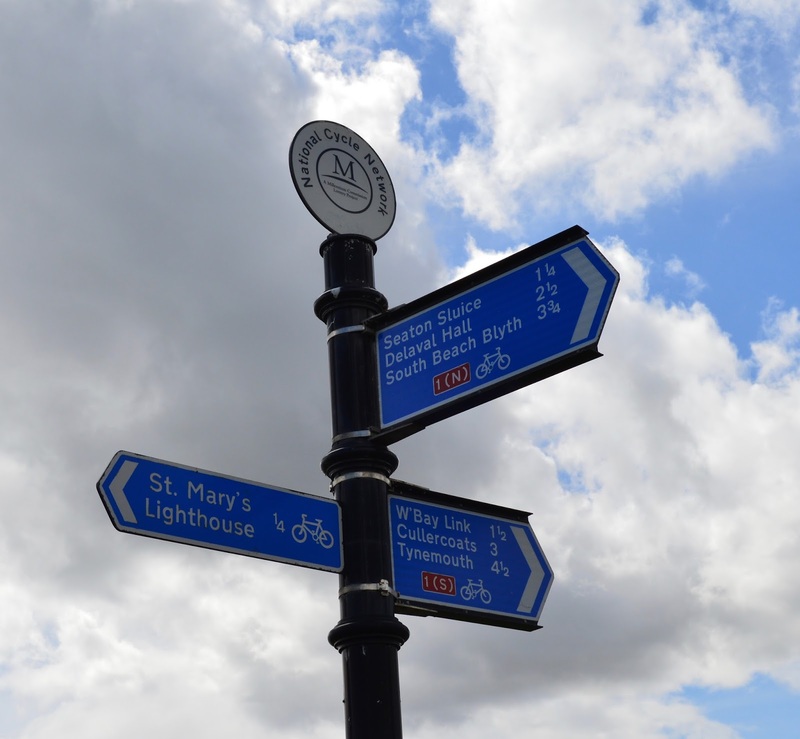 It's an easy, mostly flat and well-signposted walk that's ideal for beginners. What I love about our walks is it's a real time to have a good chat without constantly checking our phones/doing jobs/errands and it feels like real quality time together that also has the bonus of helping our health. Let me know if you have any recommendations for nice walks that are around 4-8 miles long. Next week, we are off to Alnwick Garden for the day. 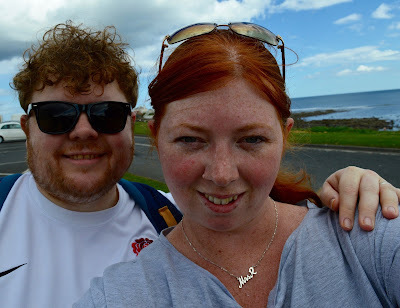 We quite often do the Tynemouth to Whitley Bay walk (via Beaches and Cream in Cullercoats for ice cream) and it's such a great way to blow away the cobwebs. 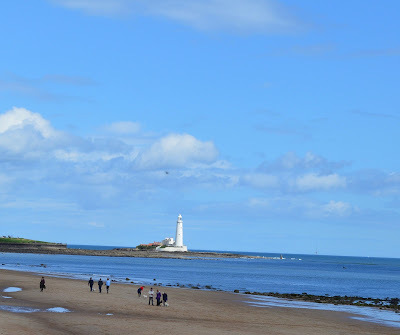 We did North Shields to Whitley Bay once too and that was gorgeous. Can't believe you saw seals! I'm so jealous, we're definitely going to head that way next time! 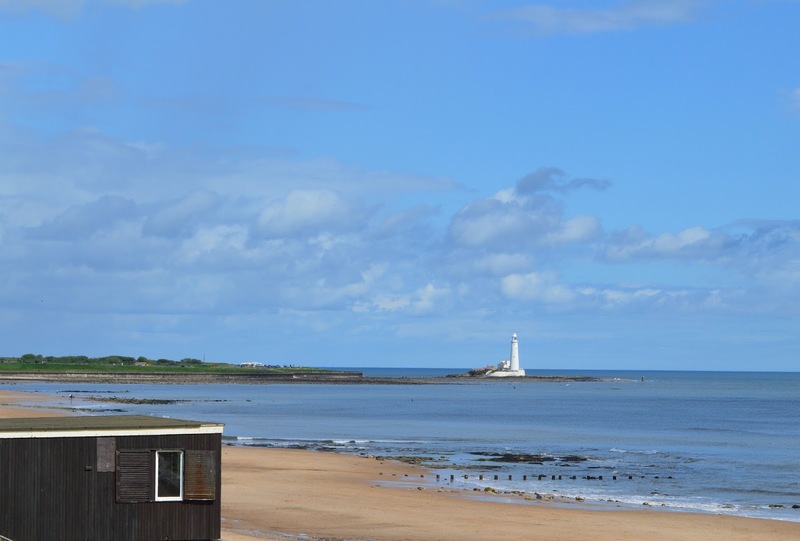 I'm definitely trying Tynemouth to Whitley Bay next - the only issue I have is too many tempting places to stop for nice food! The Boathouse at Newburn to the Boathouse at Wylam, I think it's about 7 miles there and back but you start and end at pubs. Also St Peters Basin to Dunston Staithes cafe, not sure on the exact distance because I usually do my house to the cafe and I think it's about 3.5 miles there, it's a lovely walk. Also for something obscure try Hadrians Way from Newcastle to Newburn, it's such an odd route once you have to leave the riverside. Oh thanks for the recommendations Mandy - I've never been to Staithes so that walk is definitely on the cards! What gorgeous blue skies (in the photos at least!) and a lovely idea for something to do together. The seals are wonderful too - the tips are so useful, I didn't know half those points about seals. This is my daily dog walk Sam! We also walk from Monkseaton Metro up to Holywell Dene along the Wagonways which is a lovely route. I also love walking from Seaton Sluice up to Blyth through the sand dunes and getting fish and chips and and ice cream from Coastliners.